BBC World Service - The Inquiry, Is it too Late to Save Syria’s Antiquities? Syria’s cultural heritage is being destroyed. Ancient sites like Palmyra have been attacked and all sides of the conflict are looting precious artefacts. 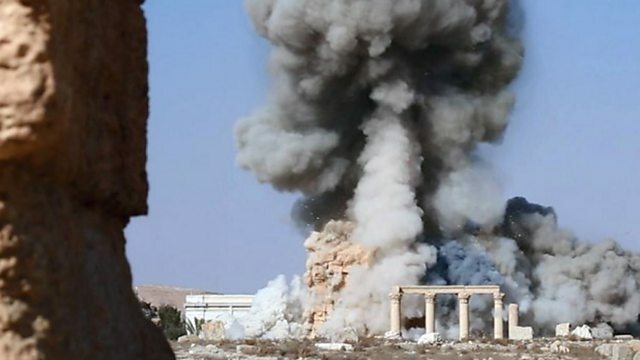 Syria’s cultural heritage is being attacked from all sides - the Assad regime, opportunistic looters, opposition forces, Islamic State fighters and even Russian air strikes. Ancient sites like Palmyra have been destroyed, and it is feared that hundreds of precious valuables have been smuggled out of the country to be sold on the international art market. Is it too late to save Syria’s antiquities? We speak to experts including the specialist trying to recover stolen items being sold on the global antiquities market, the volunteer organising a kind of archaeological resistance inside Syria, and the team reconstructing the country’s historic sites using technology.